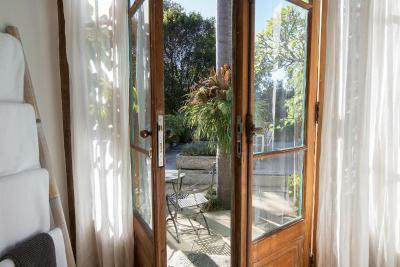 Lock in a great price for Bondi Beach House – rated 9.1 by recent guests! The room was very quaint, staff were friendly though not always accessible. Location was amazing! So close to the beach! Great location, lovely outside space, nice make yourself breakfast. Felt like a home, with fun art and plants, and they allow you to use the washer/dryer, and even to hang up laundry! We were in the Wombat room (3) which was small, comfortable, and very quiet, then the Ivy room (2), which was bigger and very comfortable, although we would have been happy if the room had a chair! We definitely will come back if we come to Bondi again. Great location, quiet, and the communal breakfast was great . Great location, walking distance to everything, beautiful home. The Bondi guesthouse is in a great location in Bondi, close to everything and only a short walk to Bondi beach and the Icebergs swim club. Our suite (the Palm suite) was really comfortable and quaint and well equipped. Our family of 4 had plenty of space in our own suite and the common areas of the house were really nice and spacious as well. Wish we had more time to enjoy the beautiful outdoor courtyard. Also appreciated access to the self serve breakfast items (milk, cereal, yogurt, toast, jam, butter, peanut butter, granola, juice, coffee and tea). Check in and check out was easy and everyone we met was super friendly. Such a great location - not on the main drag so it’s pretty quiet. I was in the Outback room which was adorable and cozy, with its own outdoor patio with seating. It felt like a little oasis being in the back separate from the main building. Perfect for a solo traveler. The staff was very nice and helpful! Our room was really nice. We were in room 1 on the 1st floor. You can see what the rooms look like online which is nice. We did not have to share a bathroom although those who did, had no problems. The house was very cozy and quite. Making our own breakfast was nice including lots of fresh fruit. All the breakfast food was supplied. Loved that they also had a few French pressing for our morning coffee. Great place close to the beach to visit and relax. A beautiful location. Wonderful, helpful staff. Accommodated an early arrival which made all the difference. Reasonable access to public transportation (frequent bus to the wonderful Sydney subway). All in all, delightful! 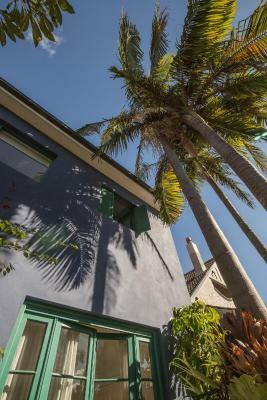 Just 3 minutes’ walk from Bondi Beach, this bed and breakfast features free WiFi and beautifully furnished suites and rooms. 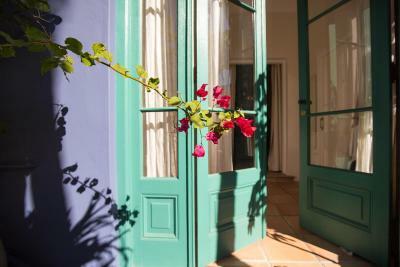 Guests have access to a lovely sun terrace with outdoor furniture. 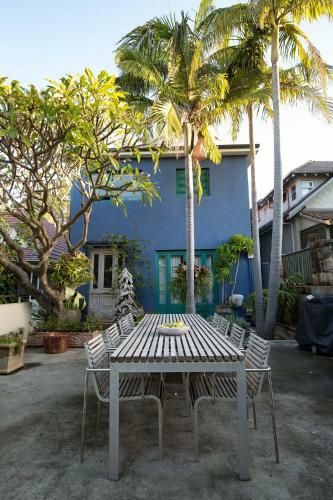 Bondi Beach House is 6 minutes’ drive from Bondi Junction train station and 10 minutes’ drive from Centennial Park. It is 14 minutes’ drive from World Square Shopping Center. All rooms are equipped with a flat-screen TV, microwave, refrigerator and a private bathroom. 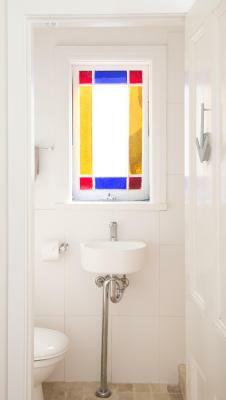 3 room types have access to shared bathroom facilities, while others have a private, private bathroom. Guests can prepare breakfast each morning in the communal dining room, using the complimentary cereal, toast, homemade jams, tea and coffee provided. Bondi is a great choice for travelers interested in walking, scenery and shopping. This is our guests' favorite part of Sydney, according to independent reviews. 뀐 Located in the top-rated area in Sydney, this property has an excellent location score of 9.7! When would you like to stay at Bondi Beach House? This suite features a dining table, iPod dock, flat-screen TV, DVD player, microwave, refrigerator and a kettle. It also includes a private bathroom with a hairdryer. This suite features a flat-screen TV, DVD player, microwave, refrigerator, kettle and a private bathroom with a hairdryer. This suite features a flat-screen TV, DVD player, microwave, refrigerator, kettle and a private bathroom with a hairdryer. It also includes direct access to the shared terrace. This suite features a flat-screen TV, microwave, refrigerator, kettle and a private bathroom with a hairdryer. This room features a flat-screen TV, DVD player, microwave, refrigerator, kettle and a private bathroom with a hairdryer. This room features access to shared bathroom facilities. It also includes a flat-screen TV and a DVD player. This room is located in a separate building, surrounded by bamboo. It features a private bathroom with a hairdryer, a flat-screen TV and a DVD player. Please note that as this room is surrounded by nature, there may be insects. This room is suited to lovers of the outdoors. Area Info – This neighborhood is a great choice for travelers interested in walking, scenery and shopping – Check location Excellent location – show map Guests loved walking around the neighborhood! House Rules Bondi Beach House takes special requests – add in the next step! Bondi Beach House accepts these cards and reserves the right to temporarily hold an amount prior to arrival. Please note that the property does not accept payments with American Express credit cards. This property can accommodate children over the age of 8. Please note this property requires a 50% security deposit at the time of booking. Please note that there is a 2% charge when you pay with a credit card. Please note the breakfast included option is a light continental breakfast. Please note that the communal kitchen and dining area is open for breakfast only. Food can not be prepared here at any other time. My room was located right next to the shared bathroom which meant you were sometimes disturbed. The house was lovely, well equipped and a simple continental breakfast each morning was ideal. The location is amazing, literally on the road next to the beach! My room was the Palm view suite and i loved it! Every room in the house is special and people are so friendly. Highly recommend this gest house. Great vibe, generous (DIY) breakfast and good kitchen facilities. Location is fab. The accommodation was beautiful, excellent location and had a very homely feel. Nothing I have no complaints about my stay whatever. Before arriving I was informed on directions to property and given clear instructions on how enter property if no staff member available. I actually arrived several hours before checking in time. The staff were superb offered me instant access to all facilities. Room spotless and place feels like home from home. Would highly recommend . This place brilliant. 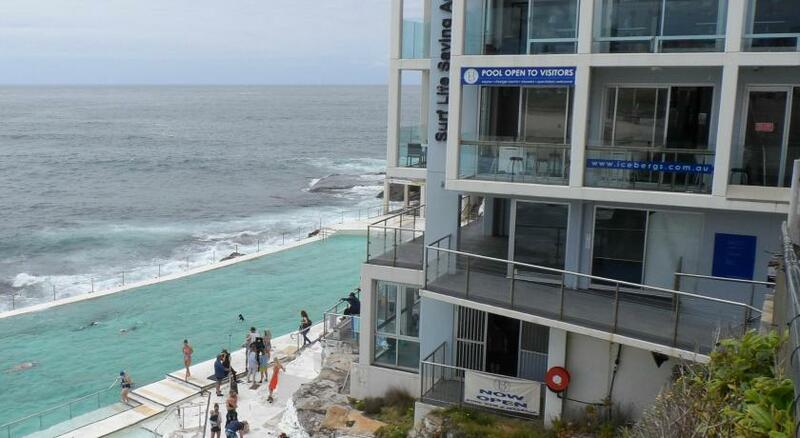 Very near to the Bondi beach! 3 mins walk. There are several restraints and convinces stores around the street. And there a Woolworth(a big supermarket) you can walk to there in 10 mins. Also we can DIY a breakfast in the kitchen which has lots of eggs, milk, coffee, fruits etc. We had a Very happy time during staying in the house. Thank you! 30mins by taxi to airport and 20mins by the bus no.333 to the city center. The single room to small, no place for storing your staff. Amazing common areas, lovely decoration, everything set for making you feeling at home. Extremely clean. Incredible location next to Bondi Beach. I stayed in the outdoor garden room which was low key yet lovely. Bed could've been a little comfier but I'm pretty particular. 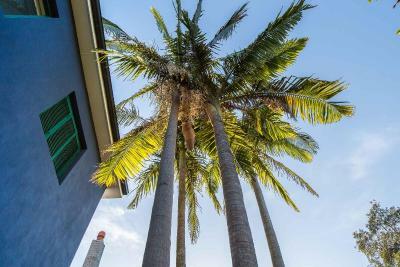 The location is perfect and the property has a comfortable, welcoming homely vibe which I really liked. Staff were lovely. I would recommend this place to anyone traveling to bondi for leisure. It was quite expensive for the style and it really needed aircon. Our room was extremely hot and sticky. The location is excellent and very useful having a fridge in the room. Bondi Beach house was a superb location. 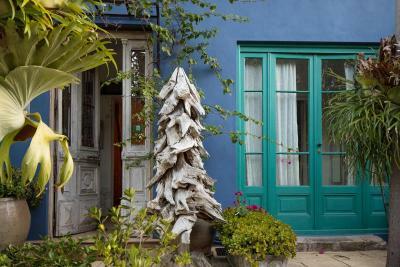 Lovely peaceful house with lovely communal kitchen, living & garden facilities. Would definitely stay here again if I was coming back to Sydney. Highly recommend.